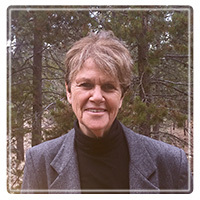 Bend Therapist: Roberta Stopler - Therapist 97703. Send A Message To Roberta. I am a licensed Marriage & Family therapist with 30 years of clinical experience. I work predominantly but not exclusively as a Cognitive Behavioral Therapist working with individuals, couples, families and groups addressing issues of anxiety, depression, self-acceptance, interpersonal relationships, stress, anger and loneliness. My goal is to help individuals to regain control of their life by identifying effective problem solving skills, setting realistic expectations and taking responsibility for their own behavior. I charge a flat fee of $140.00 per 50 minute session. This applies to couples as well as individuals. I provide a bill that can be submitted to a patient's insurance company. My office is located at 1345 NW Wall Street, Suite 201, Bend, OR. Pone number: (541) 318-4277.